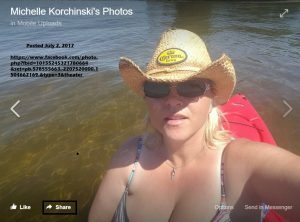 The Michelle Korchinski / Ellehicm Iksnihcrok Exchange – Kent Hovind v. Robert Baty – The Great Debates! 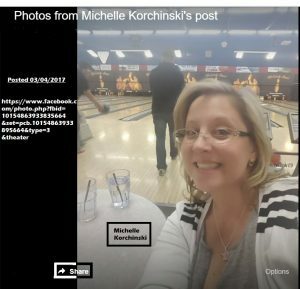 A woman representing herself as Michelle Korchinski came around the “Understanding The Baby Holm Case” FaceBook group and engaged in the conversation in somewhat of an adversarial manner. She claimed to be a reporter working on the Holm case for a story in a Canadian women’s magazine. She didn’t stay long, but in the process of checking out she indicated she would contact me privately about the matter, and so she did. Following are the messages in that exchange which took place on or around February 1, 2017, and I think you will understand why I decided to post them now after you complete a reading of it. I posted them, for the public record and in order to protect myself. Respectfully I’ve removed myself from the page you created “Understanding the baby holm case’. I have also changed my facebook page as I have to do from time to time when obessive people come to the point of harrassment its a page that is created to give information that I want people to see. I feel you are the only connection I need at this time sir the others appear to be fanatical in their approach and obsessively concerned with something (the past) not relevant to getting the baby all are on defense that mixed with a excessive and single-minded zeal with no other point but to cause dissention towards the Holm’s. No need for me be there at this point. I have spoken with my editor after doing a quick preliminary search on Brady Byrum and we agree that there is merit to what you are saying, it does not appear that Mr. Byrum has many credentials to or if any to be offereing advice in any form to the Holm’s if that is indeed what is happening I have my junoir clerks huntng down more verifitable evidence to back up facts. You give a lot of information in your PSA if I may call it that because I feel that is your angle and motive to inform the public we are both kind of doing the same job in a way just different metthods, butid there is anything else you would like to share with me that you might think is relevant for me to pursue I will take any and all tips. I promise to not reveal you as my source unless given your explicit permissions you have me on my word Robert. You would send that message, after we just noticed your change and I mentioned that I hadn’t gotten a private message that you had promised. What I do and what I have said about the issues is pretty much “out there”, and you are welcome to use what I have said and posted as you see fit. It would be nice to get some kind of notice should you decide to use any of what I have put into the discussion. While you and the group were doing that I was in the meantime actually working on your request as I stated before I have a job to do and I am very good at it. I am not hovering waiting on people’s responses or comments. I got what I needed by asking a few things by saying a few things. Robert thank you for your permission I will send you a courtesy if we choose to run with anything you are publishing publicly. Also, if there are any questions about it that you think I can help you with, feel free to ask. OK! I got lots of answers; maybe some to the questions you have yet to ask. Here’s my article that explains how I came to follow the Holm case; documenting the announcement of Brady’s secret involvement therein. I usually reference it for newcomers. That’s my website and there are numerous other articles there on the Holm case and the related Hovind case. After reading your article and researching I made a few call to one of my colleague’s who has interviewed you in the past. I believe you might remember your interview with Cheri Roberts this past August concerning self proclaimed sovereign citizen Christian fundamentalist evangelist and tax protester Kent Hovind. After speaking with Cheri and getting back reports from my clerks this morning it,.. and while the Hovind case is interesting and Mr. Byrum’s involvement with the Hovind case is transparent my research has shown that regarding your interest that Mr Byrum was or is somehow helping the Holm’s as legal council is FALSE. I do hope whoever your source is or was was not intentionally leading you down a long road so to speak. It is my understanding that it was Mr.Byrum was the one who initiated contact with the Holm’s and took it upon himself to offer his unsolicited advice to the Holm’s. As you know the Holm’s are gagged from speaking to the media; however I am in contact with the counsel that is associated directly with the Holm’s. It appears that the Holm’s had not even heard of Mr. Byrum until he chose to contact them. So as I stated while interesting it has no relevance to the story I am writing at this time my piece is on Newborns and the Importance of Breast feeding bonding for mothers and infant. I find it fascinating that anyone would take a newborn from a Mothers breast especially after this particular mother was cleared of any drugs or wrongful identity by the FBI within 72hrs. 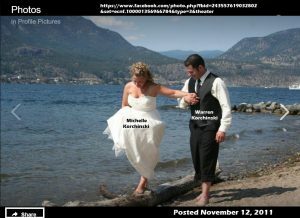 There is many people who are following this story and for those of us in the ‘know’ there is some very bizzarre circumstances surrounding this young couple who perhaps made some choices others did not like but have done nothing at all or in anyway even close that fellow Hovind and certainly not anyting to have there child abducted fromits mothers breast. To that end I am hard pressed to understand why you have even made a mention to the Holm’s beside’s a unfortunate brief encounter which was not welcomed or invited by the Holm’s. In my line of work words can uplift or they can be used as a weapon, as the citizens of the countries around the world have been privy to the disuse power of media, whether main stream, face book, blogs, magazines. We all have a moral and a societial obligation to report the truth getting to that truth sometimes means months upon months as you know of research I have been working the Holm’s case since late October. I have interviewed Nurses, EMT, park attendants, basically anyone I can get to talk to me on the record who has not been or is not intimidated to speak to the media. I can only say to you Mr. Baty that while there is a lot of confusion out there as to what type of people the Holm’s are it seems the only ones who are not in favor of them are the ones that appear to have something to lose by being under investigation. The Holm’s have merely reacted as any young parents might in such circumstances. The fact they choose to live a alternative lifestyle and that it is even being debated as should they or should they not have been is preposterious at least form a Canadian point of view. It is encouraged here and infact there is a all year round camp grounds all over my Country, here loaded with just camper/trailers / and yes even a few tents lots of kids, pets, we have snow on the ground, its been minus -15 most of winter here so its not a valid arguement to us here I guess we are just made tougher. People are free to collect thier rain water grow their own gardens, we call it garden to table here infact we are completely against any GMO’s here. I know this has been a long ‘note’ but I wanted to express my position and my magazine’s reason for following the Holm’s. What I do know for certainty is that not one of the people on your groups page has any current connection to the Holm’s and what they are or not doing to get their baby back, at this point all is being done on your page is picking apart the words of a grieving mother which I find pretty low, that also includes the mother and the daughter. With repects I see no real understanding of the truth coming from your page and I unfortunatley can not use anything in my story at this time because my editor would laugh me out of his office for going on just gossip. It doesn’t sound like you are familiar with my reasons for pressing the Brady Byrum issue. I’ll gladly await substantive evidence that is convincing as to what extent Brady was involved in the matter. Ernie Land announced in December that Brady had been involved since the beginning and was planning to do such for others across the country. Rudy Davis, at least twice as I recall, broadcast claims regarding Brady’s continuing invovlement. Mr. Holm and Danielle refused to discuss it or admit to or deny it. Jonathan Payton refused to discuss it or admit to or deny it. I don’t mind being rebutted about such things, but just your “say so” isn’t going to convince me. If there is a gag order, I haven’t seen it and cannot presume to know the limits of any such a thing if it exists. We’ll just have to wait and see who has the “last laugh” over the facts of the case. It seems your missing the grave seriouness of the matter at hand. I am not interested in any last laugh as you put it. I am only interested in the truth. You might be a bored retiree behind a keyboard as you put it with nothing else to do (although the rumor is your still on payroll), but I am not retired nor anywhere near it in fact I am on top of my game and hungry for any story that might get me closer to a Amnesty Canadian Media Award I find your comments are revealing of your true intentions as an instigator and also holds more then a mere hint of a personal grudge to Mr. Hovind and Mr. Byrum. the ‘last laugh’ over the facts of the case”. In print this will go a long way to show the oppostion and the adverse mentality the Holm’s are and have been up against. I have your permission to use your in conversation in print the information you have provided is on file. Please consider this your courtesy. Thank you for your time and information no more intereviews are required. I can handle it if you can. I think I grasp the seriousness of the matter, and how I might handle an exchange with an Internet “spook” such as you who has thought to carry on with me for a bit about it. You still indicate to me your unfamiliarity with the connections between Kent Hovind, Ernie Land, Rudy Davis, Brady Byrum and the very public claims made about Brady’s invovlement in the Holm case and the refusal of Mr. Holm, Danielle and others to admit or deny it or even discuss it openly and honestly. My perspective on the case remains justified. You have a completely different angle on it. Please let me know if your story becomes available on line so that I might give it due consideration…………………if by then it is still a story I have an interest in. Update June 7, 2017 – A revelation from Michelle; apparently she is a cousin to Danielle, but more than that is not revealed. Recent comments on her page indicate Michelle has been together with Warren for 20 years, married the last 8 of those years, and their kids are grown. There are references to the following business on Michelle’s page, so I guess it is/was one of her business operations. Funny, your writer has her own slant, her own interest, her own prejudice to this case. And she can’t see it. I said funny, meaning sad. I seem to keep noticing a lot of such hypocrisy coming from the Holm side, and have mentioned it a number of times. I sent an email to Cheri Roberts to ask her for a public comment since she was mentioned. Have to wait and see if she responds. – evangelist and tax protester Kent Hovind. – and getting back reports from my clerks this morning it,.. I asked Cheri about that, and she gave me her response this morning indicating she had no idea who that person is and that no one spoke to her about me.